Dark garnet black color. 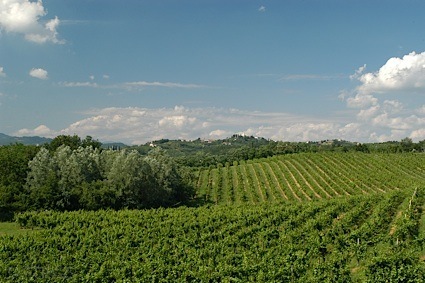 Fruity aromas and flavors of honeyed cassis, chocolate lava cake, vanilla gelato, and toasted nuts and wood with a velvety, bright, fruity full body and a tingling, refreshing, long finish with accents of dried pear and sour cherries, apple and melon balls, sweet and peppery spices, and pipe tobacco with chewy, soft tannins and moderate oak flavor. An elegant, seamless and fruity Napa cabernet that is drinking brilliantly now. Bottom Line: An elegant, seamless and fruity Napa cabernet that is drinking brilliantly now. 92 • PONO 2013 "Hapa" Red Wine, Napa Valley 14.7% (USA) $65.00. 91 • PONO 2015 "Hoku" White Wine, Napa Valley 14.1% (USA) $45.00. 92 • PONO 2014 Mana, Cabernet Sauvignon, Napa Valley 14.7% (USA) $95.00. 90 • PONO 2014 Hapa Red Wine, Napa Valley 14.7% (USA) $68.00. 94 • PONO 2014 Mana, Cabernet Sauvignon, Napa Valley 14.7% (USA) $98.00. 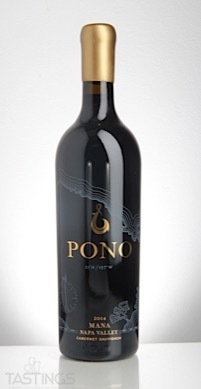 PONO 2014 Mana, Cabernet Sauvignon, Napa Valley rating was calculated by tastings.com to be 94 points out of 100 on 2/21/2018. Please note that MSRP may have changed since the date of our review.